Eye anatomy. 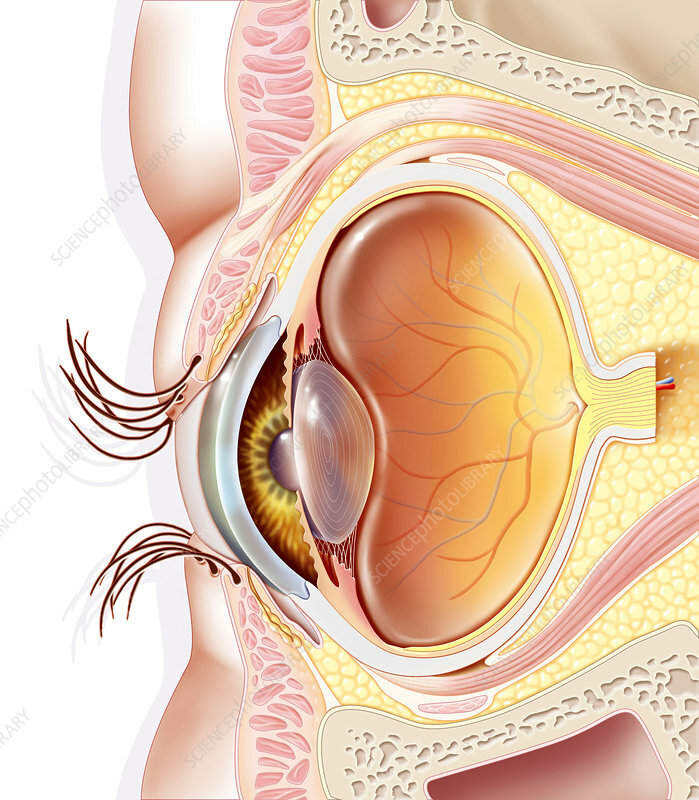 Artwork of the structures of the human eye seen in sagittal section with the front of the eye at left. Structures shown include the eyelashes, the cornea, the lens, the aqueous humour, the retinal blood vessels, the optic nerve, and surrounding fat, muscle and bone tissues. Light passes into the eye through the transparent cornea, through the pupil, and is then focused by the lens onto the retina. The shape of the lens is controlled by muscles and ligaments. Light falling on the retina, a layer of light-sensitive cells inside the eye, triggers an electrical signal that is processed by the brain to produce the sensation of vision.